Design details, construction monitoring, assembly and stepping, commissioning and sailing trials, inspection and tuning, service and maintenance and conditional survey. Supply and installation, inspection, service and maintenance and conditional survey. 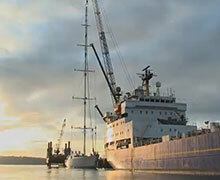 Custom rope work for any size from day sailers to superyachts can be supplied with short lead times. Grand prix rope packages are specified following close consultation with the client to ensure that the rope is doing the right job on the boat. In an effort to make life easier for the skipper or owner, Marine Results will create a rope file for each yacht to make ordering a simple phone call or email requesting which line is required. Marine Results’ custom products include loops, strops, dogbones and fairleads developed for grand prix sailing. 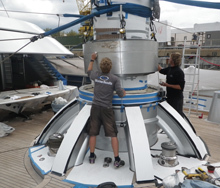 Our solutions are being adapted for both the superyacht market, day racers and cruisers. Splicing, decorative rope work and leather work. 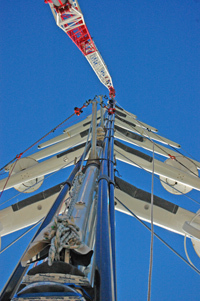 Marine Results can supply non-marine architectural rigging including flagpoles, temporary and permanent structures. We supply equipment and components from leading manufacturers.